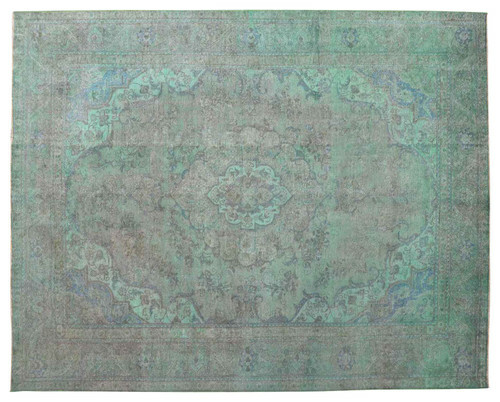 File under #catchupkeltie: For many years, I’ve been searching for a large rug for my bedroom. Older San Francisco homes (like mine) have little to no insulation and get real cold in the winter. As if I needed another reason to stay in bed in the morning, a cold floor doesn’t help. I’ve had a difficult time finding a rug I liked or could afford. Everything either looked like it came from a grandma’s house (no offense Grandma’s, I decorate my house in the stuff that comes from yours), the floor of a recording studio in the 70’s, from Ikea (no matter the quality) or was a generic solid beige that looks like i came out of every apartment in college towns across America. As a man whole like to remake things: there was the idea of painting a pattern on a sisal rug, but then the geometric trend got blown out of proportion so I didn’t want that. Enter: over-dyed rugs. Seen first (by me) on 9 By Design a couple years ago but slightly forgotten (again by me), the technique takes vintage wool rugs and dyes them bright colors to refresh and update them. After very little research, I’ve discovered that this was a huge overused trend a few years ago. 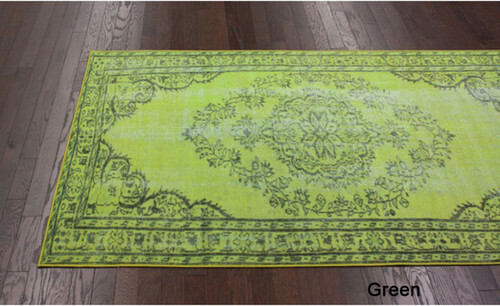 As I always say, what’s “in” is destined to be “out” so do what you like, right now I like over-dyed rugs and need one in my house. With a little time, you can do them on the cheap and personalize them to your needs. 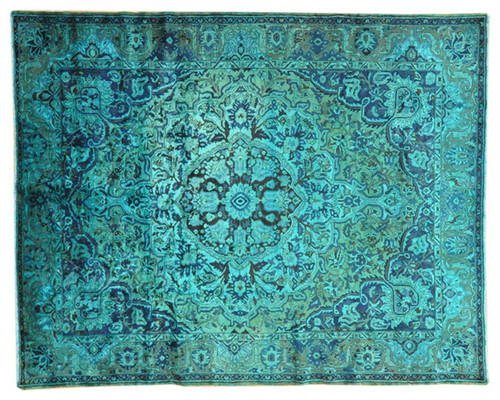 I’ve found a few sites that describe how to dye these rugs yourself, my favorite can be found here. I’ll update the blog once I have completed this project. Here are some samples to help inspire you.